It's been too long, villagers, and that's entirely my fault. I mentioned last month that I was being unusually productive, and that has continued into March. This is, of course, a good thing! However, the downside with being a one man operation is that when you're productive in one area you tend to the let the others stagnate. I've tried (and failed) at many different approaches to balance dev and social since the Kickstarter completed, and it's time to admit it's just never worked. So! I'm going back to the old style that I know worked for me and for you: weekly updates that focus on the three most interesting things I worked on that week. Enough preamble! Let's get back to it. The area outside the village has been receiving several design passes in an attempt to make it more diverse and interesting to explore. Let's take a mini world tour to look at some of the areas you'll be able to visit. 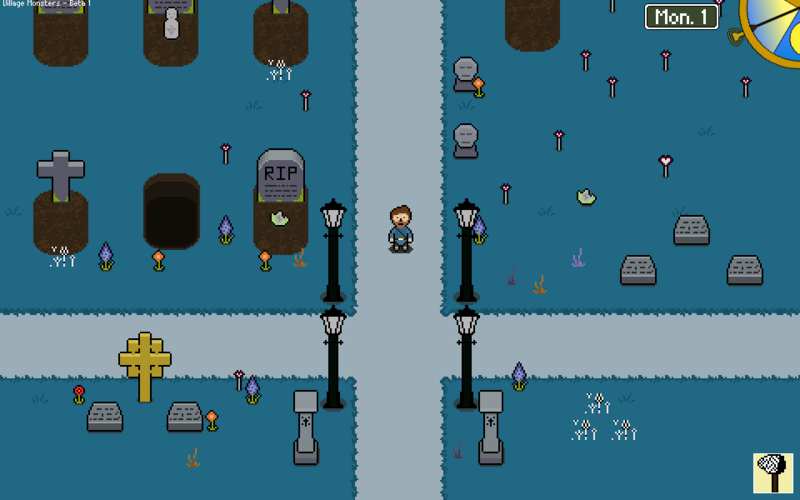 Here we have the Memorial Meadows, a somber area that houses grave stones, memorials, and other monuments to death. Parts of it are carpeted in flowers and overgrowth, and it's overall a very peaceful place... albeit a disquieting one. These are the Agrarian Acres, a large plot of arable land just outside the village. 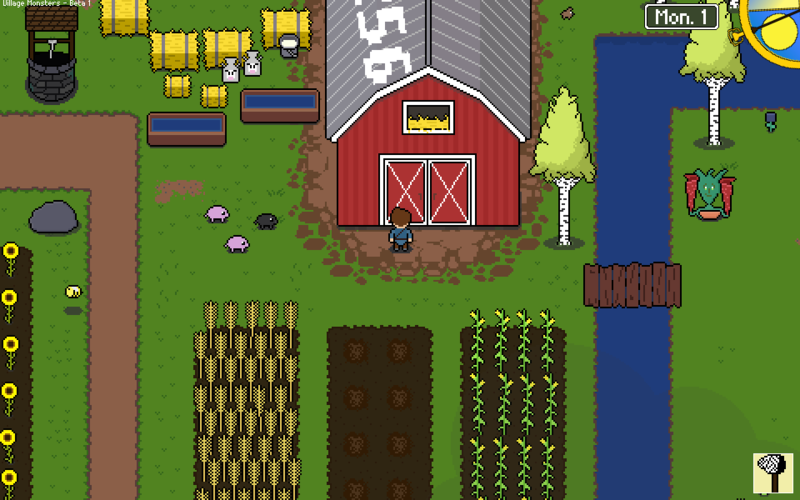 The farm provides food for everyone, and as you establish your reputation in the village they'll allow you to use some of these fertile fields to your own benefit. The Acres will also be an key area for folks that are interested in critter catching, collecting, and training. More on that later! 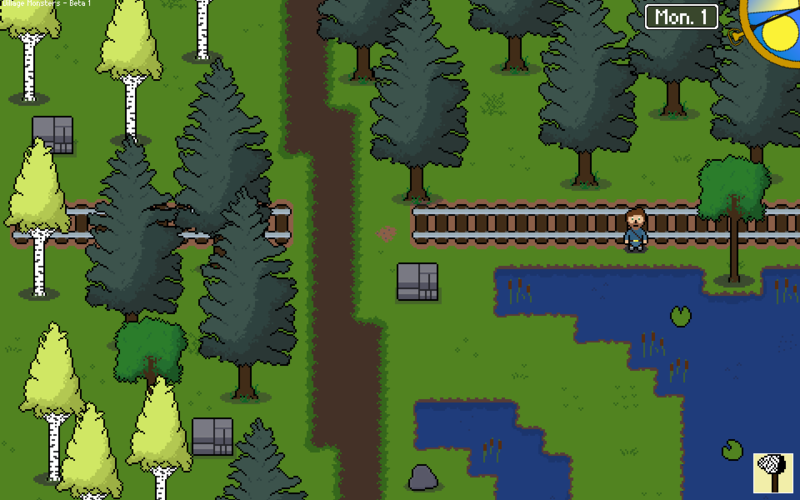 The forest outside of the village has been expanded. It is now known as Firetree Forest, and it stretches far to the north and south. Northern Firetree is currently inaccessible due to a bridge that burned down, but perhaps there's another way...? A great many things have been locked down in the last month: the areas you can explore, villagers you can meet, activities to do, and so on. Now that the world is a bit more concrete it's allowed me greater flexibility in adding flavor and personality. Many villager homes are now properly furnished and decorated. 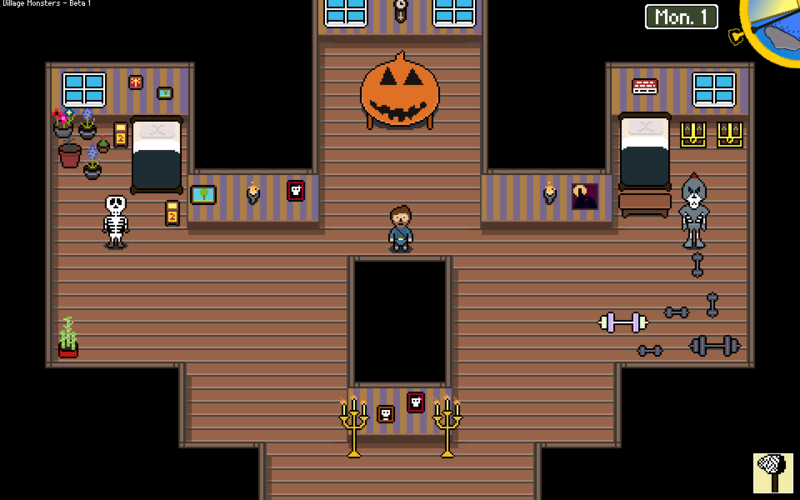 This'll still change continuously as I add more furniture and decor to the game, but it's already a large improvement over the mostly empty homes they've had to endure in the past. The effort to write villager dialog has been going splendidly, especially as it relates to contextual dialog. 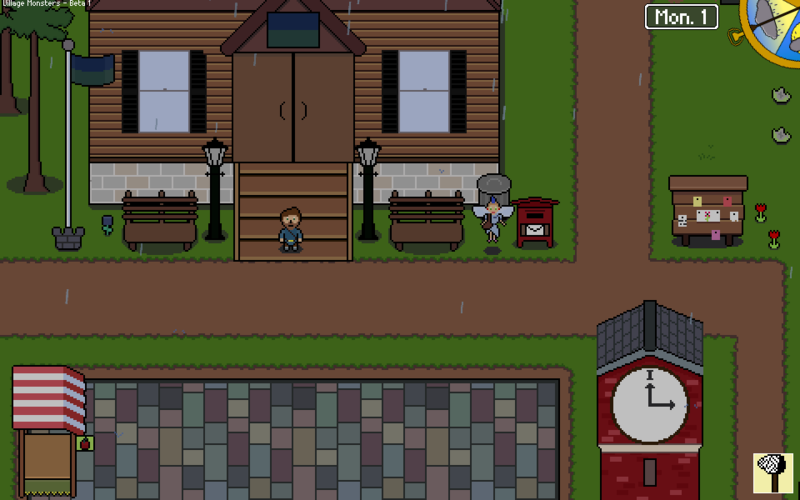 You can expect villagers to comment on the weather, time of day, holidays, recent events and exploits, and much more. The village has enjoyed addition levels of polish and detail to each of its districts. Here we can see the civics district, home to the town hall, event plaza, traveling merchants & visitors, and much more. 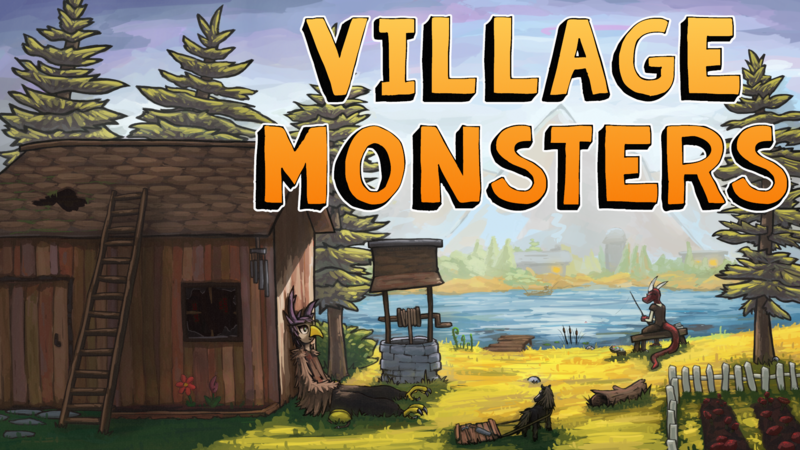 Sometime toward the end of February the Village Monsters script reached 18,000 words. I've since stopped counting because at some point the answer is the same: there's a lot of words here. 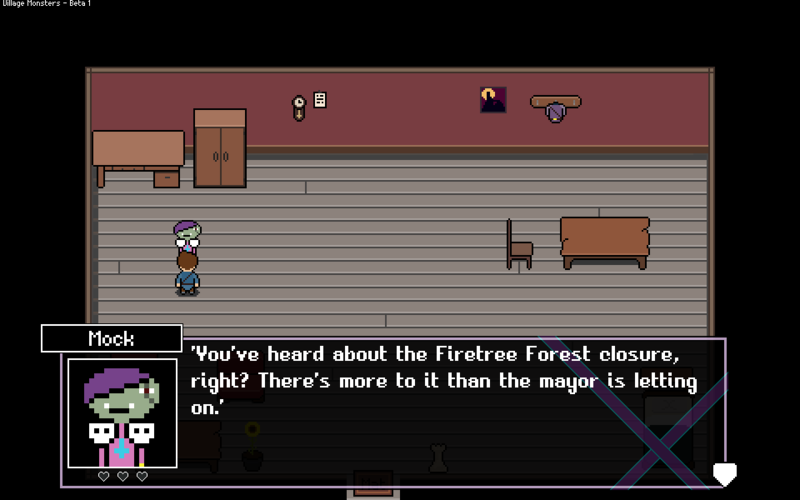 Not all of it is implemented into the game, and most of it won't be encountered by folks just playing the demo. 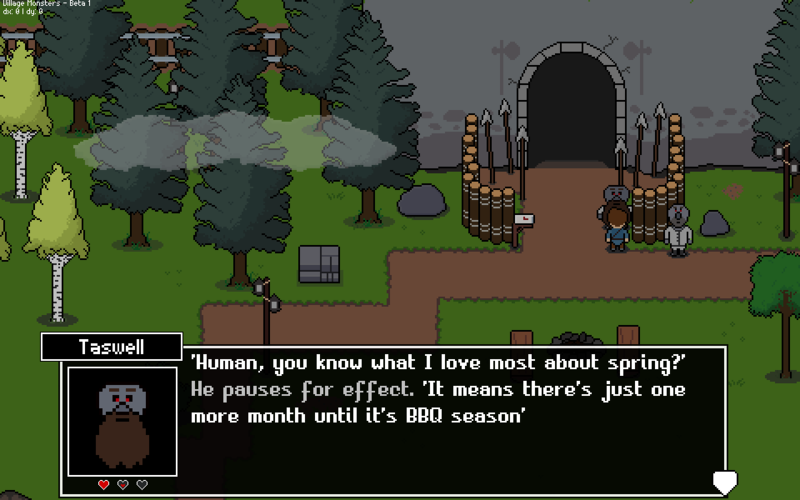 Still, this is a major part of the work left to do on the game, and I'm thrilled with the amount of progress I've made on it. 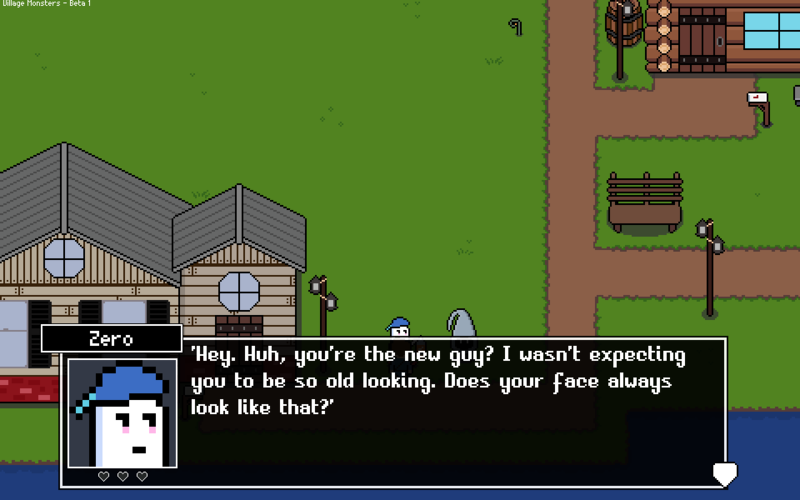 At the risk of promising too much, I think you'll be extremely happy with how dialogue is handled in Village Monsters compared to other life sim games. I'm going to great lengths to ensure dialog comes across as natural, immersive, and avoids common pitfalls such as coming across as repetitive or generic.